Home » LoreV-of-the-Black-Hat » Pictures » Rocking on Greed Rocking On! Favorites... 20 Keywords Rocking, Greed!!!!! How awesome!!!! The coloring, the pose, the----GREED! It's so----amazing. I love it SO SO MUCH! AWESOME AWESOME AWEOMENESS!!!! wow... everythings so awesome! greed looks pretty good with eyeliner =P me loves how you have in in partial tranformation. also love the litle ourobrous on the gutair and also how he has his name on it too! go greed! 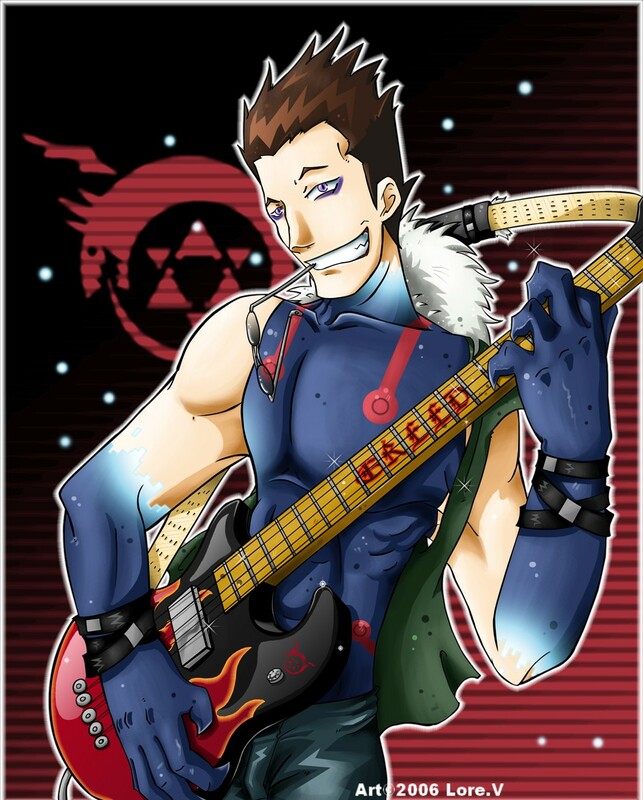 This is the best picture of Greed I have ever seen. Well Done! Haha Greed looks way awesome in this one ^_^ Nice job!